Imagine our surprise on Friday when we saw Etna spouting a huge plume of gray smoke (volcanic ash)! It seemed to be drifting to the east, which was good, since I live to the south of the crater. Sure enough, on a drive to Taormina, the sky got darker and there was definitely ash drifiting on the road and on parked cars, etc. 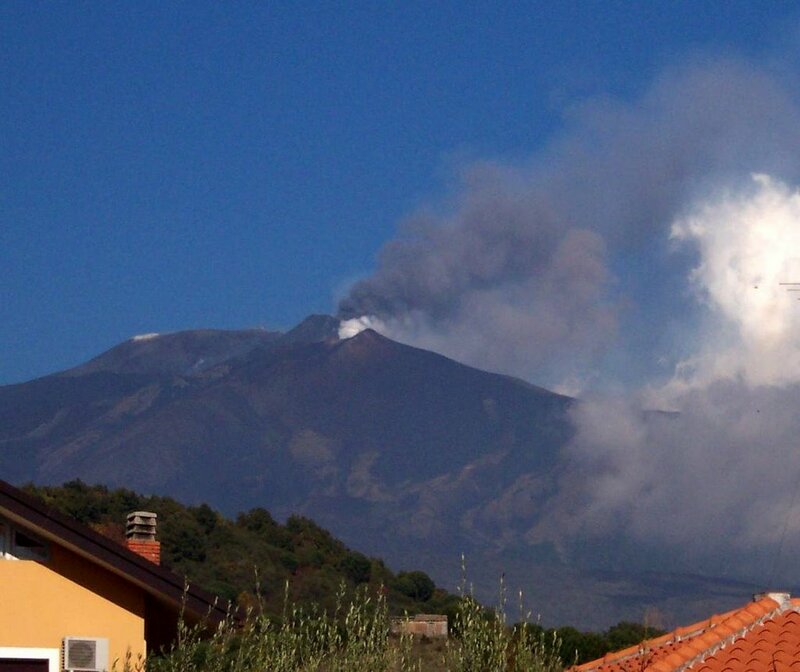 Later, we heard that there was a possibility of the Catania airport being closed. That evening, it actually WAS closed from late evening till the next morning. Apparently, the ash can cause damage to jet engines because it's like sand that is sucked into the turbine. 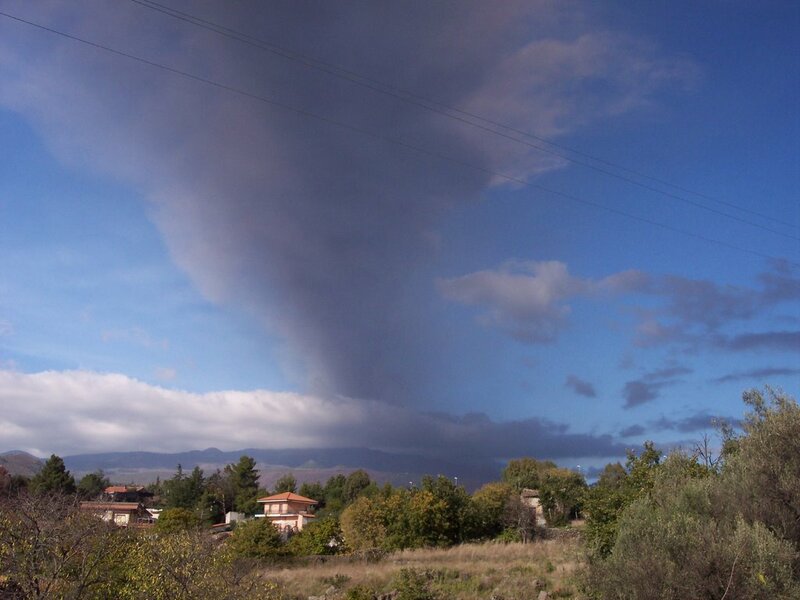 Susan took this photo today from my street in Nicolosi. 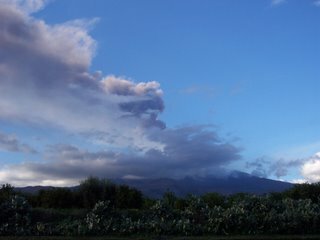 You could see the eruption shooting straight up in the air from more than twenty miles away. Every night, the lava streams are different. I have got to find a way to get up close to it!